I w as born in Bensalem, PA but currently call Southampton my home. Growing up, I was always an athlete, but spent much of my sports time in the pool. With swimming, I qualified for PA districts every year and still hold an unbroken record in the catholic youth swim hall of fame for my time in the 25yd freestyle. 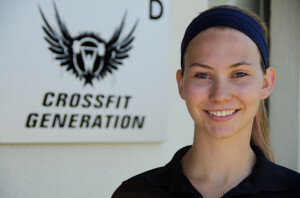 About six years ago, I discovered CrossFit and have been with Barry and CFG ever since. I’ve learned that fitness isn’t just exercise and diet, but a way of life and I love the fact that I get to coach the newest and youngest members at CrossFit Generation. With the teens and kids, I get to set the tone for their life’s fitness journey. Something Interesting… I’m double jointed in all my joints and can lick my elbow.